Flu shots are now available, make your appointment soon! Where parents and pediatricians are partners. Sanford Pediatrics provides whole-child pediatric care in a warm, welcoming environment. 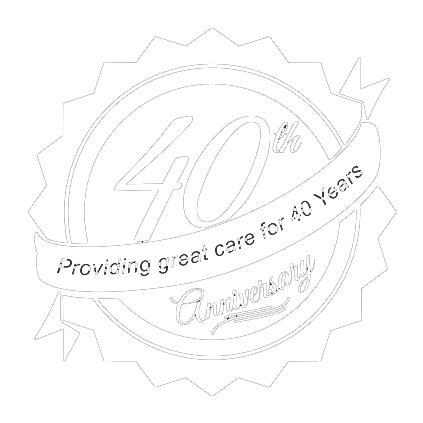 Sanford Pediatrics has been caring for our community for over forty years! We love meeting new families! Sanford Pediatrics welcomes new patients. To prepare for your first visit, please download and complete all new patient forms and review our policies. Get Unplugged and Get Outside, with Kids in Parks! The Kids in Parks program has established a network of trails designed to provide kids and families with fun outdoor activities. Our board-certified pediatricians are dedicated to partnering with parents and children for all of their healthcare needs. We accept many common North Carolina insurance plans, including Blue Cross Blue Shield, Cigna, and NC HealthChoice. On August 25th from 2pm-4pm Sanford Pediatrics will be holding a Car Seat Safety Training Event at our office at 1801 Doctors Drive, for parents and care givers of infants and children from birth to 8 years of age. NC State Law requires that all children from birth to 8 years of age or 80 pounds and under 4 feet 9 inches tall be properly secured in a child restraint seat. Certified Trained Technicians will be on site to educate parents about the proper use of child restraint seats. They will also check individual car seats for parents to ensure proper installation and use of child restraint seats. Please join us for this special training event and don’t forget to bring the vehicle and child restraint seat with you for individual inspections and assistance. Our triage nurse and answering service are available when you have urgent questions and concerns that cannot wait until the next business day. © Copyright Sanford Pediatrics, P.A., 2019. All rights reserved. Site by Appleseed Solutions.